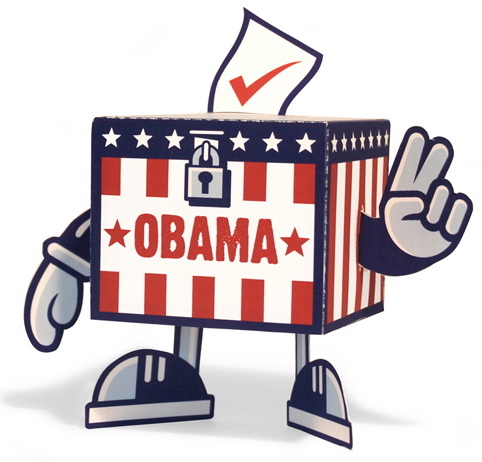 Following his commissioned poster designs for the OBAMA Campaign’s VOTE FOR CHANGE initiative last month, THUNDERDOG STUDIOS head designer TRISTAN EATON has put his energy into a last minute push for the Democratic contender with a new campaign poster and ballot box character. 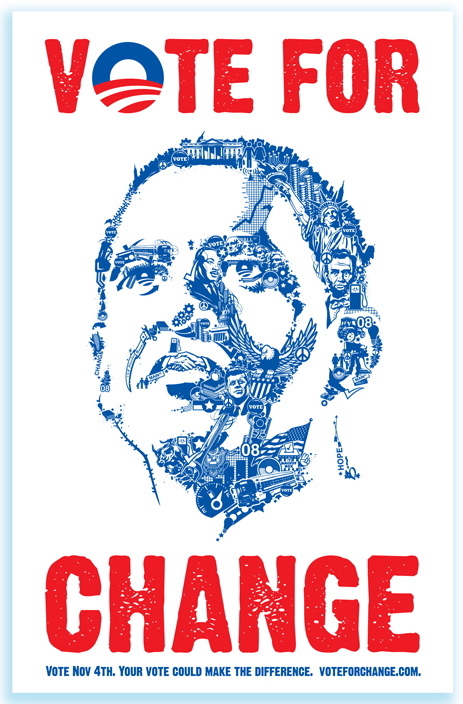 Designed as a reminder for registered voters to actually show up and cast their ballot for Obama on November 4th, the poster’s image of Barack is made up entirely of icons relevant to his personal history and political messaging, while the new ballot box character is a downloadable paper cut out figure that fans can assemble and leave in their cubicle as a daily voting reminder. And, just for fun, Eaton has customized a TRACKSTAR fixed gear bike with his Obama graphics, which will be sold to generate funds for the campaign in its final week. 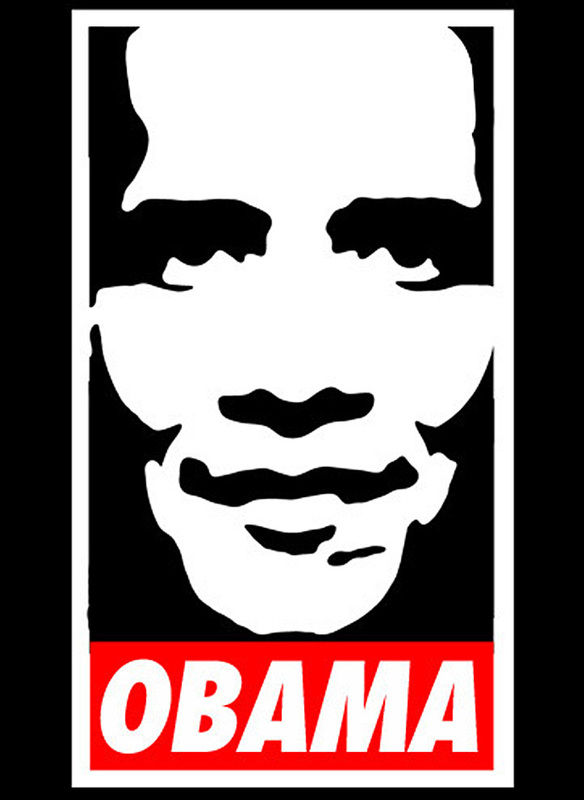 All political posters and materials are available at the dedicated THUNDERVOTE.COM site.